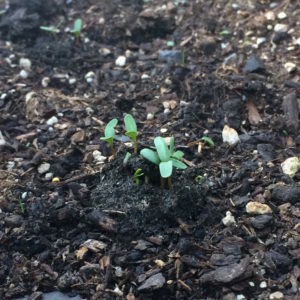 I purchased Anew Green Seed Pacs a little over a year ago and then abruptly got a new job, moved my family a thousand miles, and never got them in the ground. When we arrived in our new city, we rented and the Seed Pacs stayed in a box. After the arduous process of selling our house, we finally moved into a more permanent residence a few months ago. Factor in the time to get settled and make the place livable and my landscaping finally got some much needed attention. Of course, when you give landscaping attention you don’t just go straight to planting a garden. It’s not that simple. You first have to take inventory and get to know each other. It’s about figuring out the irrigation. I’m a little embarrassed to admit it but it’s also a process of discovering which plants are actually weeds and vice versa. Finally after a few months and with the impending summer, it’s time to at least plant some semblance of a garden. I’m talking tomatoes, peppers, squashes and a variety of herbs. Please don’t mistake me for a gardening expert. At this point I’m qualified to say “I dabble” when folks ask if I garden and my failures still far outweigh my successes. A little late to the game, I opt for plants, get my boxes and soil ready, and stick those puppies in the ground. Finally, it’s time to plant my Seed Pacs– marigolds to be exact. For whatever reason I’ve been saving these little gems for just the right moment and that moment is now. As I think about this, these seeds represent just a bit more than your average run of the mill marigolds. First of all, they represent home. After a year of transition, I’m home. I have a space in this world and what a better representation than to put seeds down that will eventually put down roots. Secondly, they represent hope. There’s the obvious hope that my garden will be more successful than years past– less prone to pest and disease and more fruitful. There’s also the hope of the beauty and life to come. 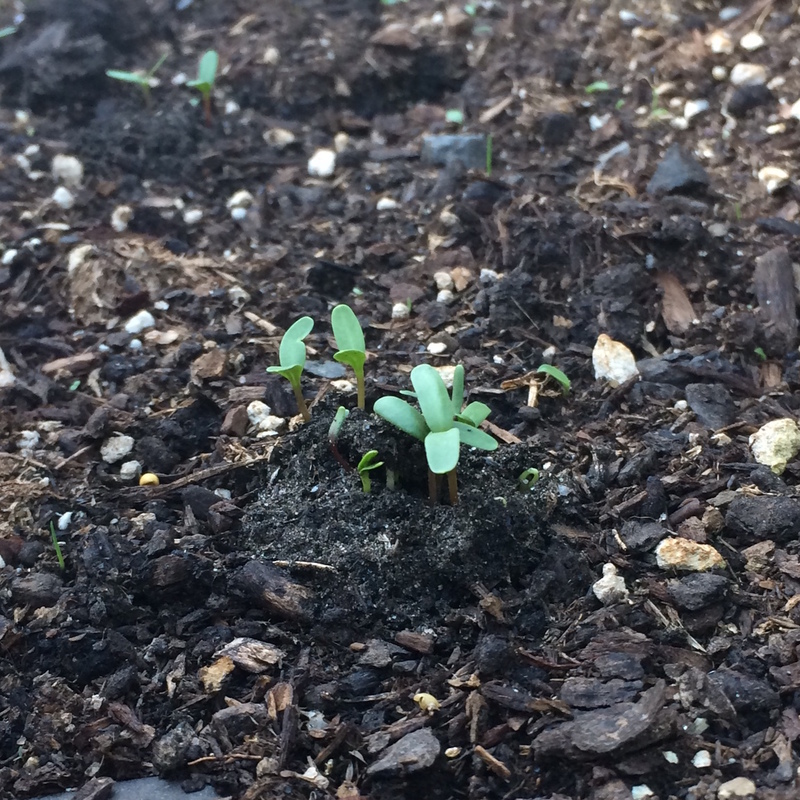 Those are the thoughts that occurred to me as I observed my marigolds that just broke through the surface of the soil this evening. I guess it also begs the obvious question as to why in the world I waited so long to get these in the ground. They’re just plants, right? Regardless, it’s great to be home and I’m hopeful of what the future holds.